Upgrade breakfast with joyböl Smoothie Bowls, Strawberry Almond Quinoa Crunch—a delicious mix of whole grain oat clusters, almonds, dried strawberries and quinoa. 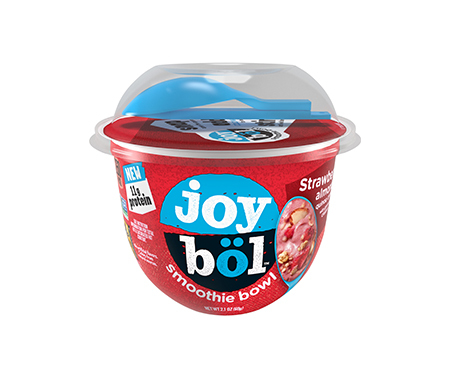 A creamy, crunchy way to bring a burst of joy and energy to your morning. A no-blender-needed smoothie bowl, simply add cold water or your preferred dairy or nut-milk, give it a spin with the included spoon, and get eating. 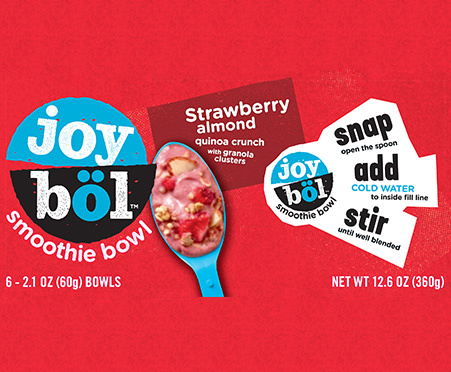 joyböl Strawberry Almond Quinoa Crunch Smoothie Bowls are the perfect complement to even the busiest of mornings, afternoons, and late-night work sessions.